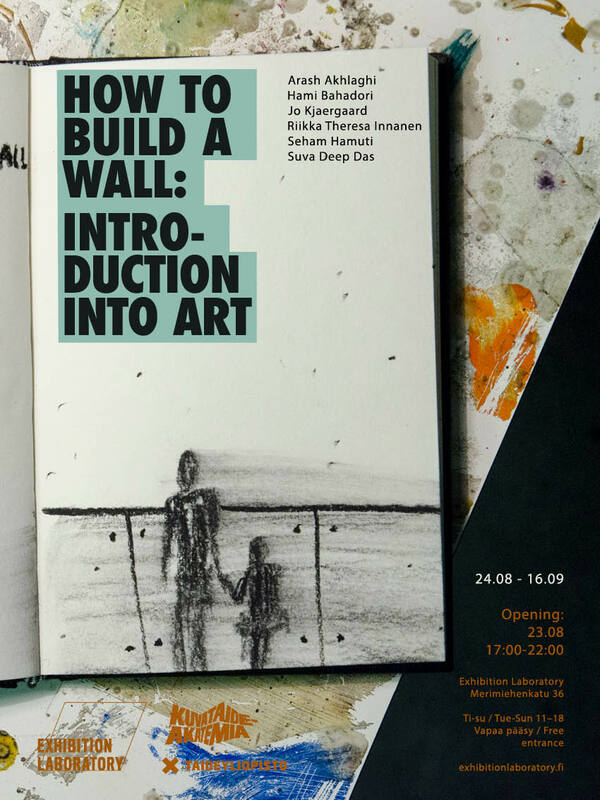 How To Build a Wall: Introduction into Art is an exhibition and group project visiting intersections of ‘art production’ and ‘cultural dominance through exclusionary methods’. Inspired by Edward Said’s culture and imperialism the project will incorporate the relationship between: history and structure, structure and space, space and bodies. The artist group will also host a number of events and performances at the opening, and later during the exhibition. There will be a public talk by the acclaimed social anthropologist Shahram Khosravi on 04.09.2018. We live in a time of wall fetishism. Never as today have human beings been so obsessed with building walls. Walls are, however, old. Empires built walls, from the Great Wall of China, to Hadrian’s Wall in Northern England and the Limes Tripolitanus of the Roman Empire in North Africa to keep “barbarians” out. And if we look closer we can see that there are still traces of the old imperial visions in the modern borders and border walls. In this talk I will look at the connections of wars and walls; walls and empires. I will argue that there is a link between the installation of border walls (here) and the unsettling of communities (there). The current border regime is part of a larger and older project of colonial accumulation by dispossession and expulsion; stealing wealth, labor force, and time. I will also argue that border crossing discloses the cracks in the dominant narration of borders and that travelers without papers denaturalize what are otherwise naturalized borders, politicize what are otherwise depoliticized borders. I will illustrate this argument by following travelers without papers along the railways in the Balkans; tracing Afghan deportees in Kabul; and narrating the social life of the materialities used in the wall between Mexico and the US.